ENERGY STAR certified clothes dryers deliver superior efficiency and performance by incorporating advanced features -- using 20% less energy than standard models. Many of the latest dryer models are available in both electric and gas versions, so you can choose which option is right for you. Gas dryers may cost less to operate, depending on the electric and gas rates in your area, but may have a slightly higher initial price tag. Like most electric dryers, gas models require venting to the outside of the home, in addition gas models also require a dedicated gas line which may not be practical for some types of housing and could add to the cost of installation. Electric dryers may be slightly less expensive to purchase initially, but may be more costly to run than gas models, depending on your area’s utility rates. For homes where outside venting may not be practical, ventless electric models are available that do not require venting. Electric dryers do not require a dedicated gas line, but most standard sized models require a 240 V outlet. Alternatively, some compact dryers are available for a 120 V outlet. For even more savings, consider ENERGY STAR certified heat pump dryers - they can save 20-60 percent more than conventional clothes dryers. Consumers with high clothes dryer usage and high electricity rates have the potential for large energy and cost savings. Heat pump dryers take in ambient air, heat it, and then recirculate it in the dryer to maintain the temperature without using much energy. Rather than releasing moist air through a dryer vent to the exterior of the home as a conventional dryer does, a heat pump dryer passes humid air in the dryer drum through a condenser to remove the moisture without losing too much heat. The condensed moisture (water) from the drum is drained or emptied out of a holding tank in the dryer. Initial Cost vs. Ongoing Savings – Clothes dryers, like all products that use energy have two price tags: 1) the initial cost of the product at the time of purchase, and 2) the cost of energy to operate that product over its lifetime. For a higher initial purchase, a heat pump model can save more energy and money with each load. Heat pump dryers take in ambient air, heat it, and then recirculate it in the dryer to maintain the temperature without using much energy. Venting – Since a heat pump dryer does not release air through a home’s exterior, there is no need for a dryer vent. Any existing dryer vents should be removed and/or sealed to prevent air leakage, which can add to the total initial cost for selecting a heat pump dryer. For homes without an existing vent, a heat pump dryer can offer a significant cost savings during installation, since the investment in putting in a new vent is not needed. Water Drainage – A heat pump dryer’s condenser removes moisture from the air during the drying process, resulting in water that needs to be drained. If installation of a drain for the water is not feasible, a water tank will need to be emptied after each dryer load. Many manufacturers sell a device that allows a heat pump dryer to use the clothes washer drain to remove the water. Depending on the configuration of the dryer and the clothes washer drain, these devices may not work in some situations. If you are replacing a dryer, consider how much laundry you dry each week. Drying -- too large of a load will cause it to take longer to dry. The drum needs to be large enough to allow a full load from the washer to tumble freely, with enough space left over for hot air to circulate. Too small of a load can cause problems, too. Drying a single towel for 30 minutes will cost about as much as drying a full load for the same time. Smaller loads can actually take longer to dry without benefit of the tumbling effect of a full load. It is a bit easier if you are buying both a matching washer and dryer - manufacturers normally design these pairs to work together with the same sized load. Combined Energy Factor (CEF) is a measure of energy efficiency that reflects the energy use of the clothes dryer - the higher the CEF, the more energy efficient the clothes dryers. You can find and compare the CEF for all certified dryer models using the ENERGY STAR Product Finder. Moisture Sensors -- Many new clothes dryers come designed with a moisture sensor, which automatically ends the drying cycle when clothes are dry. Automatic Cycle Termination – Select a product with automatic termination to help prevent your clothes from over-drying. Not only will this feature save energy, but it will also save wear and tear on your clothes caused by over-drying. Delayed Start – Delay start gives you the option of setting the dryer to begin according to your schedule. In some cases delaying the start of the dryer could save on energy costs. Steam – Many dryer models come with a steam cycle option or feature to help release wrinkles and remove odors in clothing. If all clothes dryers sold in the U.S. were ENERGY STAR certified, we would save more than $1.5 billion each year and prevent 22 billion pounds of carbon pollution annually. This is equal to the emissions from more than 2 million vehicles. Thank you for pledging to buy an ENERGY STAR certified clothes dryer! 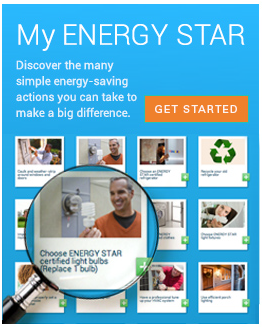 The Product Finder obtains information on price and availability of ENERGY STAR certified models directly from retailer websites. Prices may vary in store or online. We do not warrant the accuracy, completeness or usefulness of this information, including model images and information related to model pricing or specifications; photos of models may not represent actual models sold. Prices and available quantities are subject to change without notice. Any reliance you place on such information is strictly at your own risk. Furthermore, the retailer websites may include content provided by third parties, including manufacturers, suppliers and third-party licensors. All statements and/or opinions expressed in such retailer, manufacturer or other third party produced materials, and all articles and responses to questions and other content, other than the content provided by the EPA, are solely the opinions and the responsibility of the person or entity providing those materials. These materials do not necessarily reflect the opinion of the EPA. Please share any issues or feedback related to this website by reporting it here.